Investors dumped stocks in favour of safer bonds, driving Japan's Nikkei index down more than 3%. Japan's benchmark Nikkei 225 index dropped 3.1% to 20,948.37. In China, Hong Kong's Hang Seng index fell 1.6% and the Shanghai Composite lost 1% in afternoon trading. "Asian markets are taking clues from [the] sharp decline in US equities on Friday," CMC Markets analyst Margaret Yang said. "The selloff is unlikely to cease until the US markets stop bleeding." 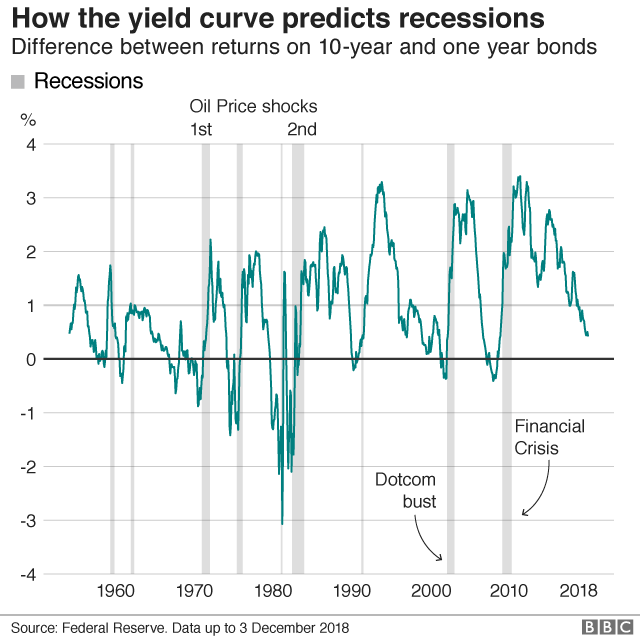 The first inversion in the US bond yield curve since 2007 also heightened concerns, by raising fears of a recession in the world's largest economy.